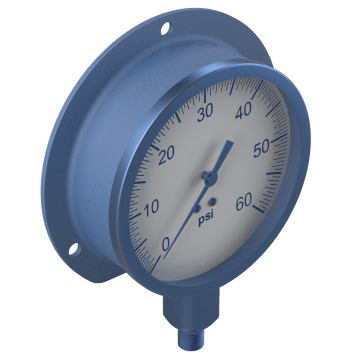 Measure both positive and negative (vacuum) pressure in your industrial systems such as pumps, compressors, hydraulic equipment, and plumbing installations with these dial gauges. Monitor pressurized liquid ammonia (also known as anhydrous ammonia), which is used as a refrigerant in commercial applications and as a common fertilizer in the agricultural industry. 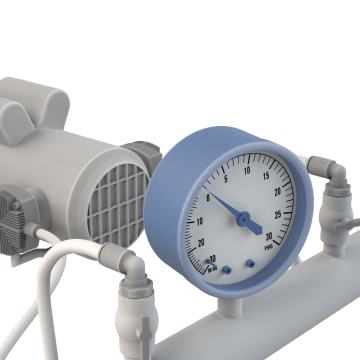 These gauges are designed to withstand harsh environments and can be installed in storage facilities and on transport tanks to ensure pressure and vacuum levels remain in a safe range. 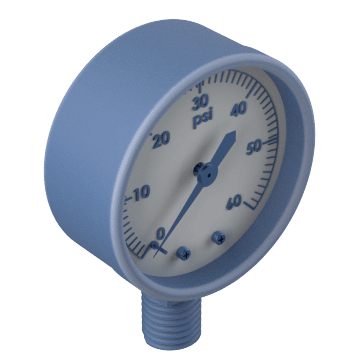 Equipped with a diaphragm seal (also known as a chemical seal), these compound gauges resist high temperatures and corrosive materials that may impact accurate readings. Use in harsh, corrosive industrial applications such as chemical processing. 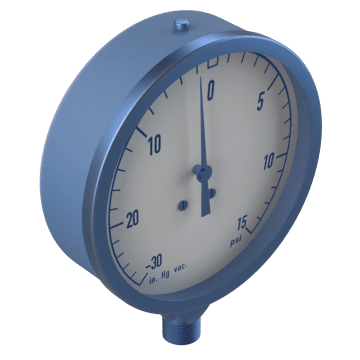 Also known as contractor compound gauges, these devices measure air, fluid, gas, and steam pressure and operate well in harsh, corrosive environments such as in HVAC systems. 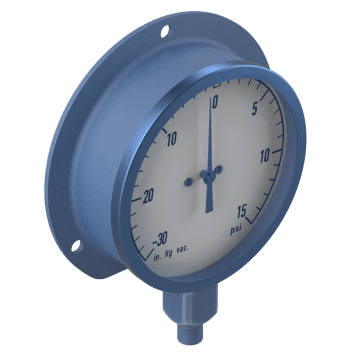 Designed for use in industrial processes such as refineries, chemical and petrochemical plants, and mining, these compound gauges withstand exposure to weather, chemicals, and other corrosive materials. 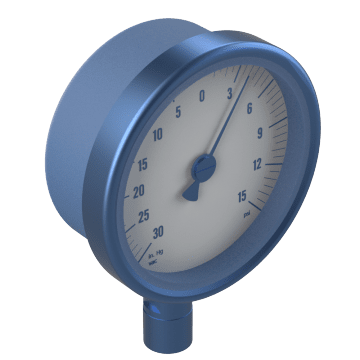 Test and validate your industrial systems with these high-accuracy compound gauges. They test pressure and vacuum of air, water, oil, and other non-corrosive liquids in compressor and pumping systems.